As the cruise-ship season begins, an era of smaller ships is on the horizon. In the North, the Summer Solstice, taking place this year on Thursday, June 21, means different things for different people. In Greenland, for example, it is Ullortuneq, the national day: a celebration of cultural and civic pride normally spent amongst family. Other territories in the region hold community or cultural events of their own. For scientists, it marks the return to melting season: It is around this time that Greenland’s ice cap begins its three-month melting period, while over the ocean, temperatures at the North Pole rise above the freezing-point. Others associate the transition from spring to summer with an influx of cruise ships at many of the region’s destinations. For most who keep an eye on the region, cruise tourism in the Arctic has become synonymous with the Crystal Serenity, a 1,000-passenger luxury liner built for non-polar waters that sailed the Northwest Passages in 2016 and 2017. Unlike the Crystal Serenity, the Crystal Endeavour will be polar rated (PC6, the second-lowest category), making it safer, but its capacity will only be about 200, making the economics trickier. Still, for travellers as well as shippers, luxury yachts, also known as expedition ships, have some advantages. Because they are smaller, they are easier to navigate, meaning they can call on a wider range of destinations. Last minute changes to itineraries are also more feasible. 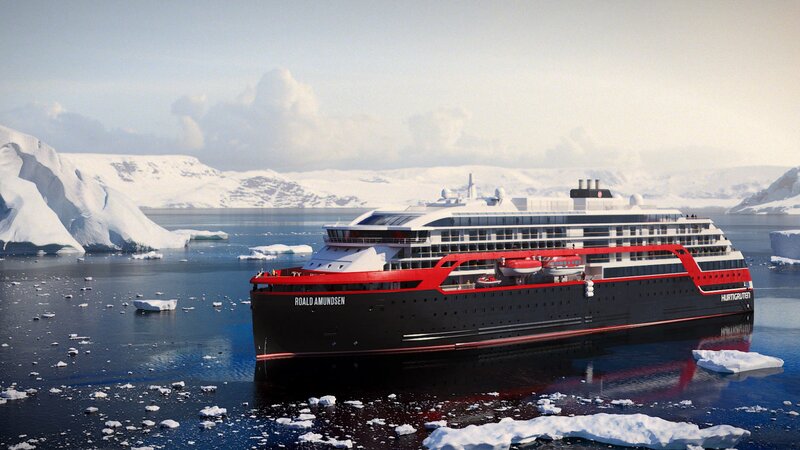 These benefits have not escaped other cruise operators: An expected 30 new polar expedition vessels are expected to enter into service in the next five years or so, bringing the total to over a hundred. That is not to say the era of the big Arctic cruise is over. The 50 let Pobedy (or 50 years of Victory), a Russian nuclear-powered icebreaker, will make five trips to the North Pole this summer, for example. The most expensive berths cost in the neighborhood of $40,000. The first set sail on June 14 from Murmansk. For those interested in being able to set their feet on terra firma during their cruise, the MSC Meraviglia, measuring 1,036 feet (316 meters) and with room 4,500 passengers and 1,500 crew, will be calling on Longyearbyen, Svalbard, three times this summer. It is the largest cruise vessel ever to visit the city, and all three of its cruises are sold out, but its first visit, on June 16, illustrates why operators in the region might be starting to think small. To start with, high winds nearly kept the MSC Meraviglia from landing in the port. Had they not eventually subsided, the ship’s passengers would have had to spend time being ferried to shore in groups of 150. But it was once the MSC Meraviglia made it into port that signs it was out of its element truly became evident. It docked along a pier that was built for ships that were 600 feet long. Then, the number of passengers it unleashed on Longyearbyen and its surroundings was double the town’s population. Locals groaned, of course, but the 14 hours the ship was in port may, it turns out, have been worth the their while: According to IcePeople, a Longyearybyen-based news outlet, passengers spent an estimated 3 million kroner ($370,000) on tours, shopping, food and transport during their visit. Another 673,000 kroner collected in passenger taxes went to the Svalbards Miljøfond, which makes grants to conservation projects. Bigger — when it comes to receiving at least — may indeed be better. When the energy ministers from the countries belonging to OPEC, an oil-producers’ cartel, meet in Vienna for two days of meetings starting on June 22, much of the discussion will focus on the activities of two non-members. The first, Russia, is an ally that has worked with OPEC to keep production down over the past 18 months, resulting in the elimination of the supply glut — and the associated rock-bottom prices — that began to pile up starting in 2014. After falling to below $30 per barrel in 2016, the price of a barrel of oil has rebounded to around $80 dollars, about the price at which most Arctic oil can be profitably produced (though in some areas, such as the Norwegian Barents, the break-even point is much lower). Now that the glut is gone, OPEC members are considering whether to re-open the taps, partly to cash in in the situation (though this will be short-lived, for with more oil on the market, prices will decline), partly to ensure that the loss of supply from Iran (due to sanctions) and Venezuela (due to collapsed production), coupled with strong demand, does not result in the sort of price increases that would encourage a mass conversion to other forms of fuel. While there is considerable dispute over what path OPEC should take, Russia (the world’s largest producer) and OPEC member Saudi Arabia (the third-largest producer) seem to agree on the need for a gradual output increase in order to avoid any shortages. The other country OPEC will have on its mind will, unlike Russia, not be at the table. The U.S. (now the second-largest producer, thanks to increasing input of shale oil) would like to see prices come down and OPEC is concerned it may do something about it. This is something U.S. producers have the reserves to do, but, more importantly, they have Donald Trump to egg them on. Trump, for example, has criticised OPEC for keeping prices artificially high: “No good and will not be accepted!” he tweeted in April about the production slow-down. Fortunately for OPEC and Russia, getting more oil to market would take time for producers to set up new production and open up existing bottlenecks, so even if Trump convinces U.S. producers to drive down prices (something his fellow Republican lawmakers running for election this autumn will appreciate) OPEC and Russia will have some time to weigh their options. This is something they would be wise to do anyway, suggest analysts. Shale producers may do nothing, but their capacity to threaten OPEC will remain, and, with the Trump administration well on its way towards opening a part of the Arctic National Wildlife Refuge in Alaska to drilling, it may actually grow. Although oil from ANWR would not reach the market until the 2030s, studies suggest that, once it does, its contribution to US oil production could be significant. Neither time nor Trump are on OPEC’s side.